It’s important to consider each other’s points of views and accept differences of opinion. 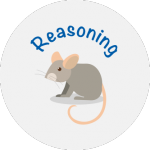 We help to give our children the ability to think through problems and challenges for themselves, and be able to explain their thoughts and actions. 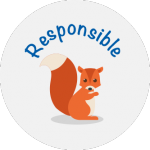 We encourage our children to be responsible, particularly for their actions, learning, belongings and environment. The school offers a variety of clubs and activities that take place at lunchtime. Currently they include Cheer leading (Lower School Squad and Upper School Squad), Choir, Orchestra, Recorder, Lego, Gardening, Hockey and Gymnastics. Some of these are organised by External Companies and others are voluntarily organised by the staff in addition to the work planned to take place within the curriculum and will vary according to the skills and interests of the staff in post. A clubs list is sent out to parents each term and as and when any fee paying clubs start the relevant forms are sent out.